Racino to Casino: A Bad Idea? Proponents hope that Proposition 1 will pass on Tuesday and the result will be lower property and school taxes for New Yorkers. But opponents of Governor Andrew Cuomo's casino expansion plan warn there will be consequences for all New Yorkers. That's Republican Assemblyman Tony Jordan of the suburban Capital Region telling NewsChannel 13 those opportunities include 35 million dollars annually for school and property tax relief - and if Saratoga gets the green light to transform its slots racino into casino, there will be jobs as the staff doubles to nearly 12-hundred people. But the Institute for American Values believes otherwise. The New York city-based non-partisan think-tank has released THREE reports warning that casinos will ultimately be bad for the state. David Blakenhorn authored "A Casino Land Report." He says Cuomo is proposing regressive public policy. Paul Davies wrote another such report, "Stacked Deck," which labels New York's casino plan as "dishonest." Davies contends the plan is all about politics --- not policy. Barbara Whitehead prepared the report "Why Casinos Matter.” She challenges New York to take a stand to protect citizens against the harm of casino gambling. A Cuomo spokesman referred calls for comment to Stu Loesser of New York Jobs Now, who pointed to the fact many New Yorkers routinely travel to neighboring states to gamble, and there are advantages to keeping that money in New York by creating Atlantic City-style casinos featuring a full slate of gaming, entertainment and hotel accommodations. Two citizens groups are calling on the New York State Board of Elections to resign over wording of a ballot proposal about casino gambling. One is based in Ulster County, where casino supporters have their hopes set on seeing a casino built. A New York congressman and his potential opponent have weighed in on whether to allow casino gambling in the state. A U.S. Senator chimes in as well. On Tuesday, New Yorkers will vote on a ballot proposition about whether to allow up to seven gambling casinos upstate. If voters give the go-ahead a few casinos could be built in the Catskills, in regions represented by Republican Congressman Chris Gibson. Democrat Sean Eldridge, who in September formally announced a campaign for the nomination to run against Gibson in 2014, is also supportive, but with caveats. The first ad is out promoting the ballot amendment to build new casinos in New York. 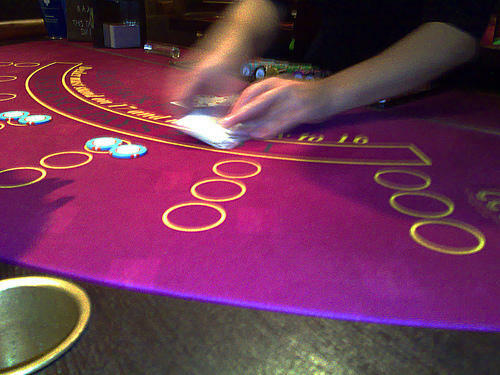 It focuses on the benefits the casinos might bring, and not on actual gambling activity. The topic during Thursday morning’s breakfast at a county Chamber of Commerce in New York is casino gambling. The speaker wants to see a few casinos built in the Catskills.